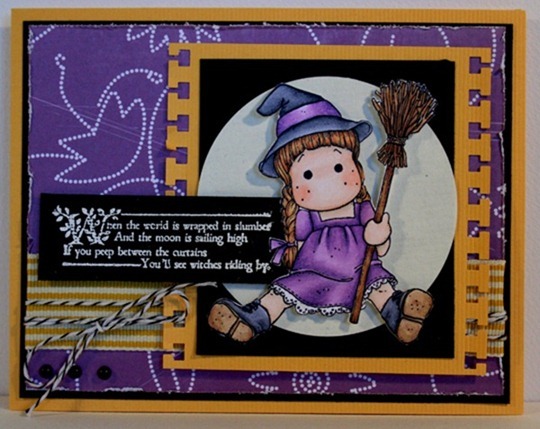 Little Outbursts of Creativity: Scary card? Actually I can see the Magnolia shop from my window at the office. I sometimes go there on my lunch hour to look, they have tons of papers and lots of nice decos. And stamps, lots and lots of stamps. 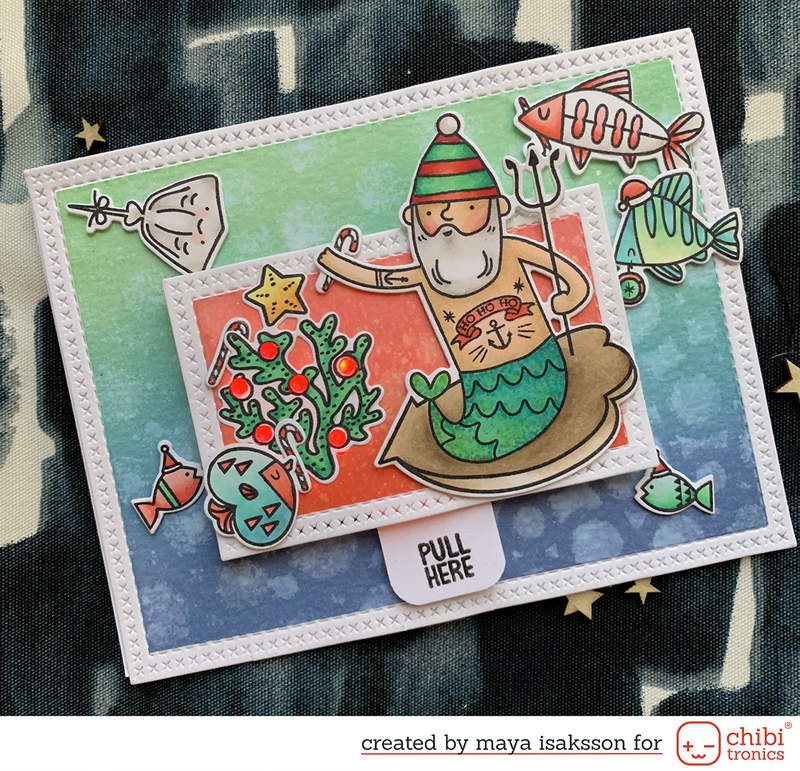 To bad I don’t really like Magnolia stamps, or maby that’s good. I would spend all my money there if I did ;) Now I have to go over there soon, I used my last purple paper and I guess I could use one or two at home just in case there is a color challange with purple in it some time again. I don’t really like purple and I never buy purple on purpose but I guess I have to make an exception. Well, go see the sketch over at SWE Scrapbook now :) Have fun!